twinkle lights and all we know. – teamgloria, inc.
twinkle lights and all we know. Posted on September 6, 2012 September 6, 2012 by teamgloria in people., places. it started at a twinkle-light-restaurant (if you’re looking for a restaurant suggestion in NYC – and who isn’t, it seems, here’s the review for Freemans from the NY Times) – who knew there was such a magical place tucked down a potentially insalubrious alleyway in (on?) 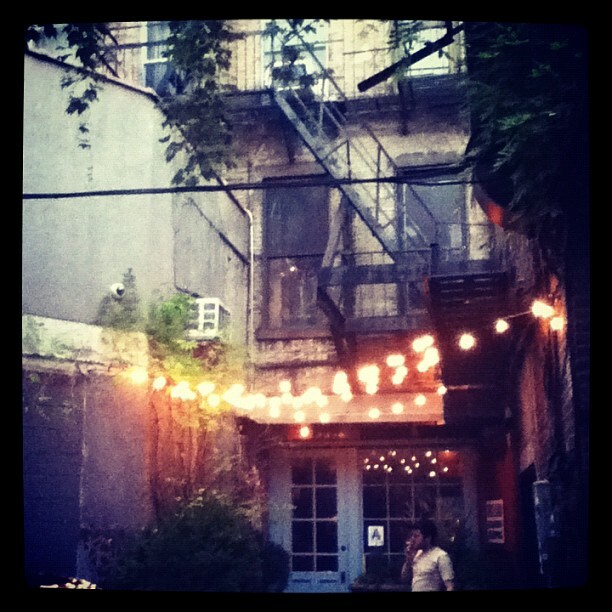 the Lower East Side, darlings. and ended with a most-engrossing-performance-crossed-with-a-very-intellectual-history-lecture at a black box theatre. life is never dull for teamgloria. particularly if one is a Very Important fashion editor.